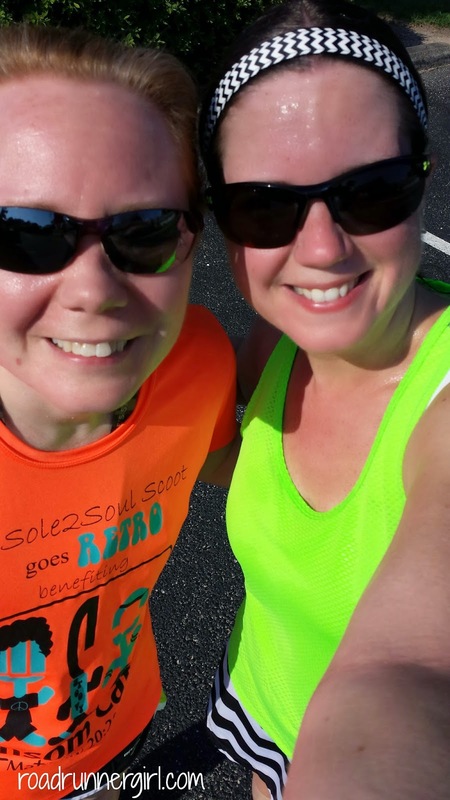 Road Runner Girl: A Hilly 10K! 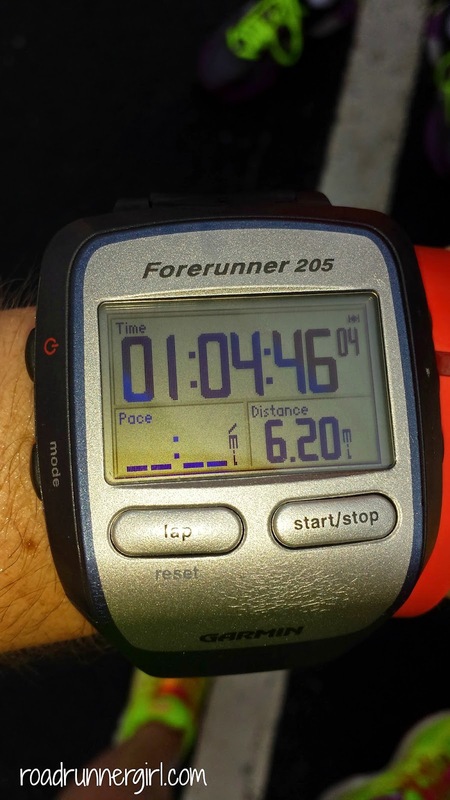 Last week's long run was done on Friday instead of Saturday. My hubby was going out of town for the weekend so he wouldn't be there to watch my boys while I ran Saturday morning. So I decided to run Friday morning while the boys were in school instead. I thought I would have to run this one solo but luckily my friend Andria was off work and came to run with me! It's always more fun to do long runs with friends! Our route was one I haven't run in a while. It involved several hills so I knew I would have to slow down some. But I was ready! Normally I fuel for a run the night before with pizza. But the night before this run was Sawyer's gymnastics extravaganza and we went out to eat at a Mexican restaurant with my in-laws after the show. So I was worried about not being fueled properly. The first 2 miles of the run were mostly flat. There was an incline at the beginning. But once we hit mile 2 the hills began! Luckily, I was feeling strong. I got tired on the hills but pushed through. It helped having Andria there with me. Otherwise I might have given in to my head telling me to walk lol! But we didn't. We ran the entire run! This route is very pretty. 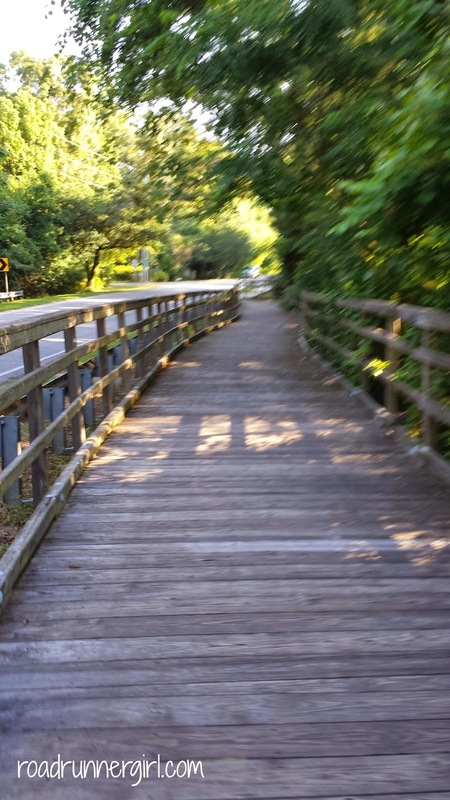 We even got to run on a few wooden bridges. Sorry about the blurry picture...I was running lol! Once we turned around (this was an out and back course) the hills were tougher. I didn't realize we had several downhills in the first half. But I really felt them that second time! After our run was done, Andria and I stood in the parking lot and talked for about 30 minutes. As if we didn't get enough talking in for 6 miles lol! You'd think we wouldn't have anything left to talk about lol! This was a great start to my weekend!!! QOTD: Do you like to run hills? Do you prefer to run alone, with one friend, or with a group?